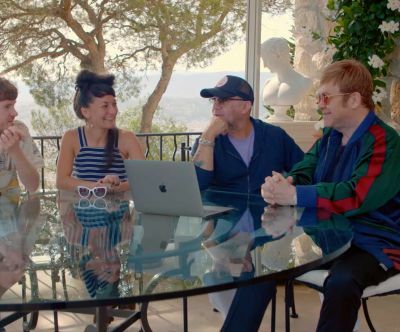 'Restoration' and 'Revamp', the new albums of Elton John hits reimagined by today's biggest stars, are available on vinyl now! Restoration, one of Rolling Stone's "Best albums of 2018", highlights country's biggest stars with thoughtful interpretations by Dierks Bentley, Rosanne Cash and Emmylou Harris, Miley Cyrus, Vince Gill and Don Henley, Miranda Lambert, Maren Morris, Kacey Musgraves, Willie Nelson, Brothers Osborne, Chris Stapleton, Rhonda Vincent and Dolly Parton and Lee Ann Womack. Bringing together a carefully curated selection of the world’s biggest and best artists, Revamp sees Elton and co-writer Bernie Taupin’s best-loved songs reinterpreted by some of contemporary music’s most vital talents, ranging from hip-hop / soul (Q-Tip, Mary J. Blige) to rock (The Killers, Queens of the Stone Age) and pop (Miley Cyrus, Lady Gaga, P!nk & Logic). 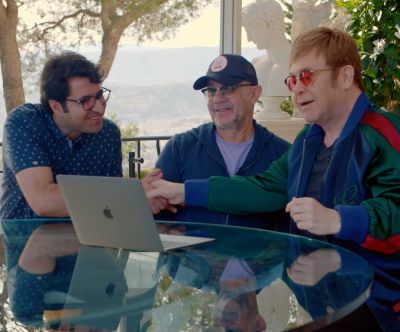 Majid Adin’s winning video for 'Rocket Man' is a poignant animated work which draws on his personal experiences as an Iranian refugee making his way to England – giving a new perspective to the lyrics and themes of travel and loneliness. A fine art university graduate working in animation production, Adin travelled across Europe during the 2015 refugee crisis, spending time in the infamous Calais Jungle camp before being granted asylum in the UK and now rebuilding his life as an artist in Britain. Majid partnered with animation director Stephen McNally to realise his vision for this achingly powerful and human story. Elton John - Rocket Man (Official Music Video). The Bennie And The Jets video has been interpreted by directors Jack Whiteley and Laura Brownhill as a futuristic talent show. The set and central structure take their inspiration from Fritz Lang’s 1927 science-fiction film, Metropolis, while the synchronised choreography is inspired by Busby Berkeley films, and the black and white aesthetic is a nod to the classic Hollywood era. Elton John - Bennie And The Jets (Official Music Video). Max Weiland’s winning video for Tiny Dancer is a tribute to Los Angeles, with the iconic track as the link between the city’s inhabitants. The video shows people experiencing the breadth of life, from Quinceanera to scattering a loved one’s ashes, joined in their joy for the song as it plays through their radios. Elton John - Tiny Dancer (Official Music Video). The Cannes premiere included on-stage discussions with Elton and Bernie, moderated by Spike Lee, with all the winners in attendance. 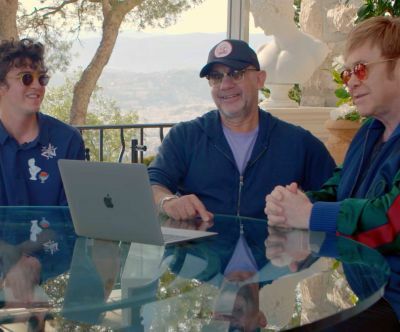 The contest was launched with the aim to give aspiring creatives a unique platform to showcase their work for these much-loved hits, as well as giving the songs new meanings in 2017 – the 50th anniversary year of Elton and Bernie’s writing partnership.